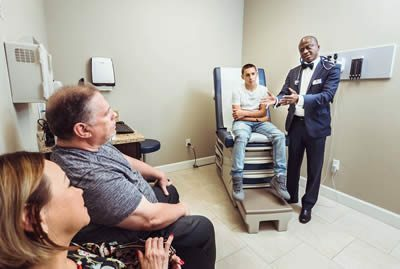 Accord Medical Group offers coordinated, continuous and integrated Primary Care and Walk-in Clinic Services in Tampa, Florida. If you are a member of a preferred provider organization (PPO) or health maintenance organization (HMO), please contact Accord Medical Group before scheduling an appointment to determine your plan's participation with our medical providers. Please note that Dr. Phillip Atigre must be assigned as your PCP (Primary Care Physician) for certain plans, prior to be seen. Below is a partial list of insurance plans we accept and is subject to change without notice. Not every plan is listed. To see if we are a participating provider with your plan, contact your insurance company directly to confirm network participation or call us at 813-374-2406. If you have no insurance coverage our new patient visits start at $150, this includes basic routine blood work. If during your initial visit, our providers recommend further laboratories or screenings, we will be happy to provide you with pricing prior to moving forward. Our follow up visits start at $75. If you have a question related to your bill or insurance, please contact our billing specialists at (813) 374-2406. Get more benefits than you’re currently getting from Original Medicare by joining a Medicare Advantage Plan. Medicare Advantage Plans offer additional benefits, but those that are part of our “Golden Year Program” give you access to additional benefits to keep you healthier than ever before!